Roscoe Village - 6 units with separate heat and electric, all owner pays is water and common areas. Interior renovation includes all new HVAC, electric and plumbing as well as stainless steel appliances and granite counter-tops! Exterior includes new windows, siding, porches and roof. Great location and unit mix, three (3+1), two (2+1) and one 1+1. 2 blocks to the El. 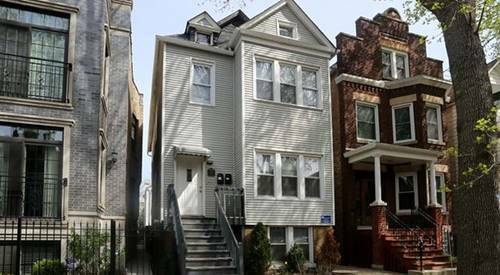 For more information about 1914 W Henderson, Chicago, IL 60657 contact Urban Real Estate.